I don’t know what the government is coming to. Instead of protecting businessmen, it pokes its nose into business. Why they’re even talking now about having bank examiners, as if we bankers don’t know how to run our own banks! At home I actually have a letter from a popinjay official saying they were going to inspect my books. The government must not interfere with business! Our national debt is something shocking – over one billion dollars per year! What this country needs is a businessman for president! 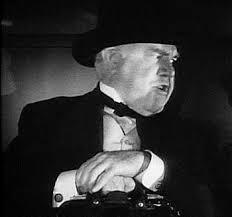 As the movie moves along, we continue to hear from Mr. Gatewood from time to time until, arriving in the safe town of Lordsburg, New Mexico Territory, he is arrested for absconding with the bank’s assets. There may well be good reasons for thoughtful regulation. Politicians have been using the same lines for a long, long time. It’s kind of like life, most people are better for their interactions, some are not. 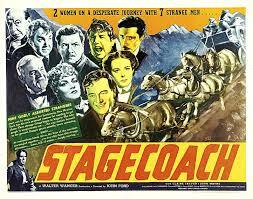 Look up Stagecoach (1939 film) on Wikipedia for a pretty accurate plot outline.